Here are true and tested tips for your vegetable garden. I’ve only been gardening for 2 years, so these may be obvious for the seasoned gardener. But hey, maybe not. It’s worth sharing. 1. 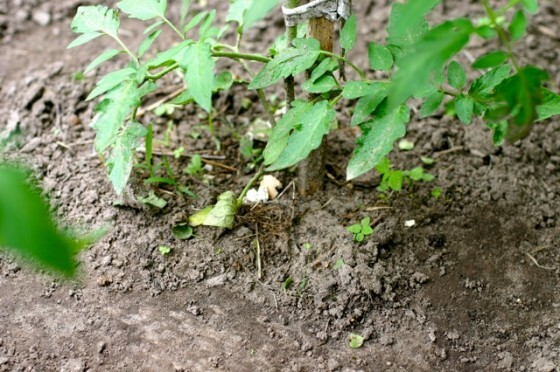 Spread some broken-up eggshells around your tomato plants. This will enrich the soil and prevent blossom-end rot. 2. Plant some marigolds throughout your garden plot: they have a smell disliked by plant-eating insects. At the end of the season, collect the dry flower heads that contain seeds. Store in a dry place, and plant in the spring again. 3. Plant green beans: bacteria contained in their roots makes the soil more fertile. 4. Use grass clippings to control weeds: spread a thick layer around your plants to stop weed growth and fertilize the soil.